While most companies are accepting that social media marketing is a great way to stay in touch with the thoughts and feelings of their customers, many still don’t exactly understand why it works. Gathering a following on social media is now a powerful key factor in having your company’s voice heard, but that is just the tip of the iceberg. The goal of social media marketing isn’t just about getting more likes on facebook, followers or retweets on twitter but it's also about good marketing practices that benefit businesses in major ways to create online sales and achieve the same impact of traditional advertising. Below we've listed 5 major benefits to social media marketing. Social media is one of the best ways to introduce people to a new brand or product. It can also help reintroduce an existing brand to a new audience as well as strengthen your relationship with your current costumers. Utilizing social media, which over two thirds of the United States’ population uses, is one of the easiest, most cost-effective ways to get your company’s name into people’s mind which can then lead to traffic to your website or place of business, which is the ultimate goal of many social media marketing strategies. In the same way employers run background checks for new hires, consumers also a do a bit of research to verify if a company does exist and has quality services or products. Now-a-days it’s easier than ever for anyone to create a website for just about anything, a product, an event, an idea, or anything you can imagine. Smart consumers want to make sure that the place they plan to interact with is who or what they say they are. Social media marketing suggests that new customers may be driven away if a business’ social media accounts appear to be inactive because they assume that the company may no longer be in business. Social Media marketing can benefit your brand legitimacy by showing that you are a company that keeps up to date in your industry and that you know what is going on in your industry. Once you've established yourself as a legitimate brand, this audience that you have built creates trust between your business and potential consumers. This connection can generate sales by allowing them easy access to your new and existing products with a simple post. One of the best parts of social media marketing is the ability to create content tailored specifically to your audience. Engaged followers on social media can help you gain more exposure by liking or sharing your posts which could be indirectly advertising your product or services to their network of friends and followers. This can help increase your sales through direct website conversions or through spreading awareness of promotions that you run as special offers to social media followers. Most social media platforms now have designed special tools for businesses to help promote themselves through various ad placement integrations that do not interrupt the users' experience on that specific social network. These non-disruptive ads, such as in-stream facebook ads, are very important as followers who are bombarded with online ads may be put off by the company running them and may result in a negative reaction towards the brand. In the end it is possible to lose trust you worked so hard to earn if you practice social media marketing in ways that users don't appreciate. Social media is all about connections; connecting people with people who have similar interests or experiences. So it makes sense that companies are now using social media to connect with their consumers. This can allow your business to benefit from direct customer feedback or from past clients with the ability to immediately respond to any requests made, thereby improving the customer service experience. Social media plays an integral part in any marketing strategy as it becomes one of the main sources of content distribution. In the past, the challenge was the need to ensure that your content reached your customers in the shortest time possible. With social media there are so many tools at your disposal to get real-time news about your company (or industry) in the hands of your customers with ease. A simple click is all it takes to get your brand's new products or services shared with hundreds of thousands of people. **BONUS FACT** Social Media also includes Yelp and Google+, so make sure to update your company's information and images on networks like those too. Take a moment to address your company’s social media marketing. What are the strengths in your social media strategy and where can improvements be made? If you need assistance creating or optimizing your social media profiles to nurture customer relationships, then All in Web Pro is here to help. At All in Web Pro, we're passionate about empowering businesses and brands to reach their full potential using digital technology. It's important that you find a Las Vegas web design team that will help you develop the right kind of website to satisfy the needs of your business or brand. Anyone who has a website or wants to build a new one will benefit from having a better understanding of web design concepts and elements. There are a few different kinds of popular design elements that are being using by many web designers today which you should understand and keep an eye out for. Here are ten web design elements that not only deserve your attention but that you may want to consider including in your next web design venture. Many websites you'll find today stack all of their content onto a single webpage, so that most or all of the navigation links send you down the page to the corresponding content instead of taking you to a different webpage address. Doing this has some benefits, including ensuring that regardless of whether a user prefers to scroll down or click first they are always going to be seeing the same content, or at least will be less likely to miss content on a separate page if they only scroll down, or at the bottom of the page if they normally click on links in the navigation menu. This design style typically isn't used for websites with a high volume of content that is better suited to a multi-page website. Parallax animation, which can be roughly defined as an animation that responds directly to scrolling up or down a webpage, can be a minimal fancy design feature or an integral part of the user-experience (UX). Use of parallax design can create a more fluid and pleasurable experience for a user moving up or down a webpage when done correctly. The names says it all. A website of this genre provides an immediate or large heavily visual experience designed to captivate and engage the audience, often with a full-screen image or video. Users, believe it or not, will judge a web design by its "Book Cover", which is another name for this particular type of web design. Don't let its label fool you. Manageable and scalable, flat design is less about the flash and more about the ease of use. This style of design has become dominant over the past few years and is characterized by a lack of texture or depth, and removal of 3 dimensional visual elements. Think of the Windows 8 or 10 layout for example. Video is the most engaging type of content on social media today. Video has been proven to get more clicks, likes, and shares than photos or text. Adding video as a background element to any website, when done correctly, can add a layer of context and atmosphere that can add to the user's experience as well as the professionalism of a webpage's presentation. It is probably best used on webpages with a minimal amount of other content and layout elements. It's not just for the people who like squares and everything in its place. This web design is for online users who are familiar and fascinated with the new Windows 8 interface. Mobile-first is when a web design is created first to create the best possible mobile experience, and then secondarily adjusted for appearance on desktop screens. Over the past few years a shift took place as mobile internet browsing surpassed desktop use. That means that now the majority of website users are using a phone or tablet to access webpages. Sometimes less is more. A site with this particular web design utilizes small fonts or minimal text within larger visually oriented webpages with fewer navigation options and fewer layout elements. One-touch Google Maps tools allows on-the-go audiences to quickly pull up a location on Google Maps. More and more users are accessing websites through mobile devices these days and helping them find your business quickly and easily is more important than ever. Menu widgets are useful elements that keep the navigation buttons in the same location on the webpage regardless of how the user scrolls. This is more for improving the user-friendliness of a webpage than enhancing design aesthetics. With widget navigation, or "sticky menu", audiences will be able to navigate around your website a little more easily and quickly to find the information they need. Want some insight for how you can use one of these favored elements in your next big website change? 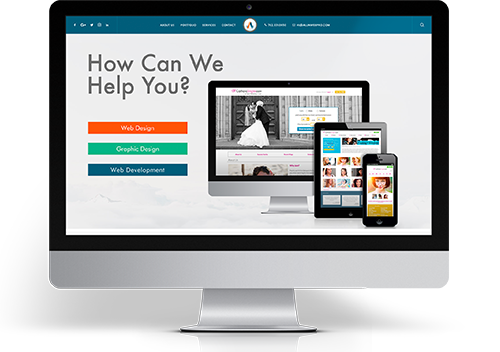 Whatever your web design needs, All in Web Pro provides the professional and creative components your website requires. Vegas Visionaries is a community initiative, launched by All in Web Pro, that seeks to give local leaders and visionaries in Southern Nevada a platform to share their projects and visions for how to make Las Vegas and Southern Nevada a more a more thriving and sustainable place. This curated video series showcases a variety of community leaders, influencers, and community activists who are already working to make a difference and hope to inspire others to do the same. This entire project and website is created and run by the All in Web Pro team, and integrates a mix of local marketing outreach, video production, web, and graphic design skills to make the project a success. Every 3-5 minute video is filmed by All in Web Pro at our Downtown Las Vegas satellite office located with in the Emergence Arts building on the historic Fremont Street, at 520 E Fremont St, Suite 219. The videos are then edited, custom graphics & video elements are created and add. Then the final assets are uploaded to both the Vegas Visionaries YouTube and Vimeo channels as well as the Vegas Visionaries website. The post created on VegasVisionaries.co features a bio of each speaker and tools to share the video across social media platforms. The site is currently powered by SquareSpace and features a customized theme to best ensure overall design quality and mobile friendliness. Feel free to visit VegasVisionaries.co or visit their Youtube Channel Here to learn more about this exciting project. If you know anyone in Southern Nevada who is making a difference in the community and has a vision that others can take part in, please go to VegasVisionaries.co and nominate them to become the next featured Vegas Visionary.